Sport is an essential part of our local lifestyle, promoting good health and relieving stress. 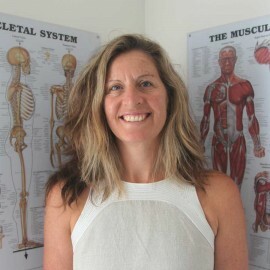 At Stanwell Park Physiotherapy we can effectively treat and manage most injuries. Under our philosophy of understanding and follow-up, we ensure you know how to prevent re-occurrence. Sporting injuries can be a result of a direct blow causing bruising or contusion or an indirect force like a twist such as sprains, strains or tears. Other injuries are due to over-use stresses like tendinitis and stress fractures. Our treatment will get you to return safely to your sport as quickly as possible as you regain strength, mobility, balance and co-ordination. Hi my name is Kerry and I have had a lower back problem for almost 18 years. I have tried many types of therapy from physio to hydro to exercise and even acupuncture. In all my years of trying just about everything NO ONE has got me pain free until now. Tanya has been treating me now for approximately 7 years. In these years Tanya is the only person who actually uses her hands. Not only has she got me pain free she has taught me how to manage my injury by teaching me stretches and exercises. If it wasn’t for Tanya I would be taking more pain medication and possible having injections because that’s what 1 specialist told me. I don’t know what I would do without Tanya.